Travel South approximately 2 1/2 miles. You will see a Bridge that crosses Deer Park Avenue. As you head back North, begin to look for our office. Travel North until you see a Bridge that crosses Deer Park Avenue. After you go under the Bridge, begin to look for our office. Begin to look for our office. 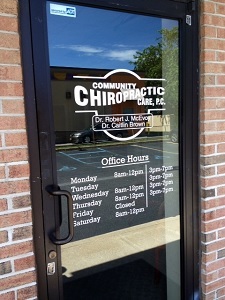 Call Community Chiropractic Care today!